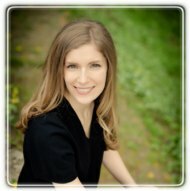 Seattle Therapist: Emily Wood - Therapist 98102. Send A Message To Emily. Perhaps as a result of my work in social services, I have a keen interest in how we are shaped by our roles, relationships and experiences, and the process of equipping and championing ourselves to make the most of our lives. A native of the Pacific Northwest, in my free time I enjoy being in nature and engage in ongoing education. Practicing yoga for the past 8 years, I find it helpful to address the mind-body connection with some clients. Geeks, nerds and techies -- I'm married to an engineer and can "speak your language"
By way of background, I have a degree in Psychology and completed a three-year Master’s at Seattle University's CACREP-accredited program in Community Counseling. I have seven years experience working in a variety of community mental health settings. I’ve also undertaken specialist training and workshops in a number of inter-related areas, including trauma therapy, attachment theory, and the King County Recovery model. I am a licensed Mental Health Counseling Associate in the State of Washington (credential number MHCA.MC.60595125). I operate from a Person Centered framework and believe in the fundamental healing power of relationship. This fits well with my eclectic approach in which I borrow from attachment, person-centered, psychodynamic and cognitive-behavioral theories when working with clients. Sometimes clients seek counseling with a specific goal in mind and more often they are struggling to name an underlying worry. They are grappling with challenges of developmental life tasks: graduations, career development, changes in relationship, adapting after a move, settling into a new job or grieving over a deep loss. These life events can be coupled with excitement, anxiety and depression. My approach in any of these cases depends on a foundation of trust and mutual respect. In the context of trust, sometimes I look to help clients make connections between early experiences and what's going on in their present life. I also tend to be strengths-based and often work with clients during sessions to feel more grounded as a way to learn to manage anxiety and think / feel more easily. My style is relational in that I believe therapy is an opportunity for support, guidance and reflection as you work on goals of your choosing. Pursuing counseling is a big step and it's important to find a counselor you can trust, even if therapy isn't always comfortable. Please don't hesitate to contact me if I can support you in your process!